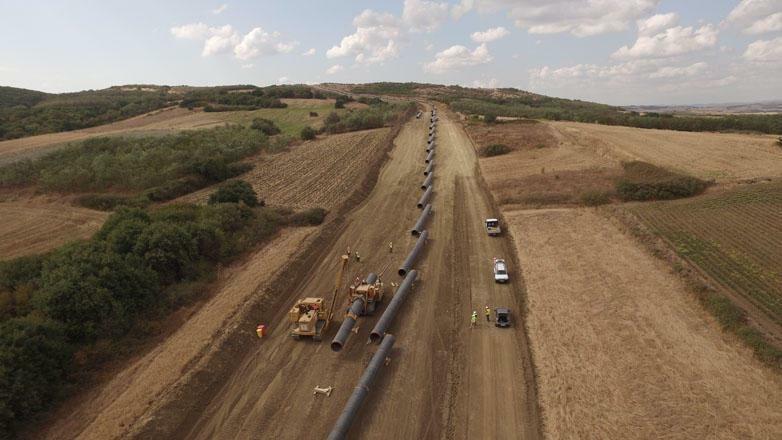 A consortium for the Trans-Adriatic Pipeline (TAP) construction has successfully completed the financial closure of the project in 2018, receiving 3.9 billion euros, saidthe consortium. 'The European Investment Bank (EIB), recognizing the important contribution of TAP to improving the security of energy supply in Europe, allocated 700 million euros for the implementation of this project. The EIB welcomes the ongoing close cooperation between all project partners, said Andrew McDowell, the Vice President of the European Investment Bank, whose words are quoted in the message. Reportedly,17 commercial banks provide financing along with the EBRD and the European Investment Bank (EIB). Part of the financing is covered by export credit agencies - Bpifrance, Euler Hermes and Sace. The project attracted 3.76 billion euros in the form of privileged debt (which requires repayment in the first place) from a third party with a maturity of 16.5 years. A commercial loan of 635 million euros from merchant banks. The report notes that previously the expenses were fully financed by the shareholders of TAP: BP (20 percent), SOCAR (20 percent), Snam (20 percent), Fluxys (19 percent), Enagás (16 percent) and Axpo (5 percent). TAP, along with TANAP, is a part of Southern Gas Corridor project. The project envisages transportation of gas from Azerbaijani Shah Deniz-2 gas field to Greece and southern Italy across the Adriatic Sea through Greece and Albania and involves designing, construction and operation of the natural gas pipeline. The Intergovernmental Agreement on the TAP project was signed by Albania, Italy and Greece in February 2013. The TAP project is one of the strategic objectives of the EU in the energy security and diversification of energy sources, chosen as the shortest and direct way to export natural gas from Azerbaijan to the European markets. Construction of nearly 74.6 percent of the 878 km pipeline has been completed, of which 550 kilometers will pass through the northern part of Greece, 215 kilometers - Albania, 105 kilometers - the Adriatic Sea and 8 kilometers - Italy. The TAP pipeline is expected to be commissioned in 2020. The initial capacity of TAP will be 10 billion cubic meters of gas per year with the possibility of doubling it.